You may remember the article about Prof. Mark Haub of Kansas State University, who set out to lose weight by eating a diet only consisting of what usually is classified as “junk food”. Here the man answers five questions in-depth. Science has solid evidence on how nutrition works, especially where losing weight is concerned, yet mostly the public field is left to “fad” diets and at times outright dangerous advice from “nutritionists”. What can the scientific community do to better communicate established findings to the general population? There are two issues at play with this scenario. One is the responsibility of scientists and the other pertains to how that information is distributed. While a complex issue, it boils down to understanding what scientific inquiry can and cannot do and the often misunderstood ‘purity’ of science. For example, animal and public health data do not determine cause-effect in humans. However, much of the obesity / BMI data ‘suggest’ that if one loses / gains / maintains weight or shifts into a different BMI category, their individual risk will reflect that change. That is false, the data of those studies indicate that in those studied, those that presented with “X” BMI tended to…”. Moreover, it needs to be remembered that there are people within the normal range of BMI with disease. Yes, there tend to be more obese individuals with disease, but there are also more obese people without Type 2 diabetes than those that present with it. The latter issue is how the message is conveyed to the public. [The following comments are opinion as I have no experience in mass communication, maybe that’s obvious :-)]…From my perspective, writers / reporters (journalists, bloggers, etc.) are interested in getting people to see their work, thus some might try to exaggerate and /or use editorial liberties to make a story or study more interesting / entertaining, or to frame a story that matches their point of view. In doing so, that may lead the reader to misunderstand the outcome / impact of a study or story. Likewise, we (scientists) are not given any training on how to handle media or media exposure. If I’d had training before this had started, I would have handled some interviews differently and I would have established consistent talking points as I did understand / appreciate the brevity of some interviews (2-3 minutes or less). In summary, I am realizing the difficulty of conveying the truth in a manner that is interesting to media and the audience yet is capable of educating them on what truly was intended with the project. Western governments do already spend substantial amounts on educating the public about the dangers of obesity, yet this has little effect. What do you think is going wrong here? In my opinion, our target is misplaced. I think we should be focusing on behaviors (what and how much people eat) instead of how much they weigh. Also, it is my view, that our dietary goal of changing what we should eat (whole foods, fruits and vegetables, whole grains) is too restrictive. I think we should be working with “big business” to develop healthy food (even if processed) that people will buy and eat. Most people in the U.S. are eating fewer fruits and vegetables over the last decade (according to the 9/10/2010 CDCP report), so we need to find healthful food options that people will eat. Your self-experiment challenges the popular concept of “healthy vs. unhealthy food”. What would you see as a viable way to replace it? It has been interesting as some writers have not considered those latter questions and have focused solely on what was consumed while disregarding the outcomes (nearly all of which moved in a direction that represents ‘health’). From my perspective, that stance of disregarding the evidence seems to indicate their disapproval of current medical practices and recommendations to lose weight / fat and decrease blood lipids. That is, a few have made the suggestion that because I am losing weight using foods that are “obesigenic” and avoiding fruits and whole-grains that it’s not ‘healthy’ weight loss — yet many physicians push for reduced lipoproteins/lipids and will even prescribe drugs to do so, regardless of dietary changes. Additionally, it seems those that have issues with my project seem to overlook the fact that my baseline cholesterol (total, LDL-C, HDL-C, and total:HDL ratio) were elevated relative to what is recommended. So, from a health outcomes perspective, my pre-junk food diet (lots of berries and a focus on dietary fiber) was not seemingly healthy as my portions were likely excessive. 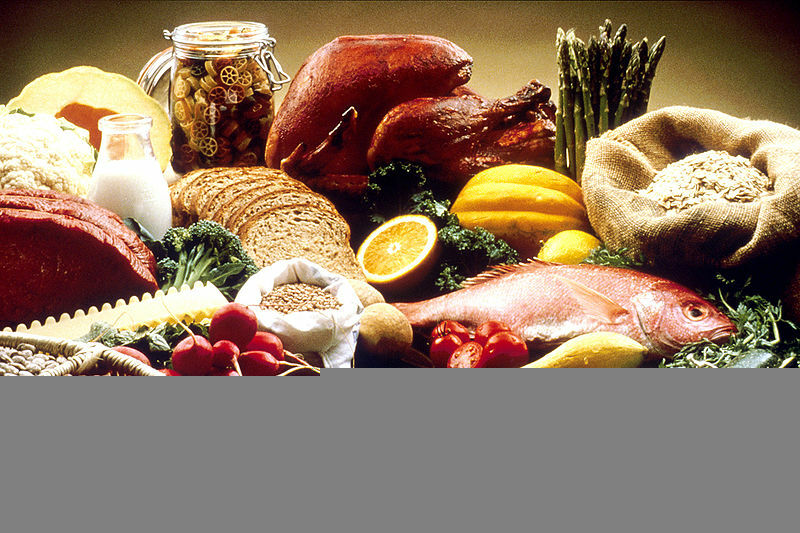 Additionally, saturated fats and trans fats are noted for increasing LDL-C and decreasing HDL-C. In the short term, that did not happen and actually the outcomes was dramatically opposite. Thus, the conflict arises when one considers that saturated and trans fats increase CVD risk and decreasing LDL-C, triacylglycerol, and increase HDL decrease CVD risk — which one is true? It is my thought, that our understanding of the ‘bad’ fats hinges on the context of where the data were derived, mostly from animal studies and epidemiological studies. There are few weight loss studies where dietary saturated fat was elevated during one of the treatments — in those studies, there were positive health outcomes (most of the studies used low carbohydrate diets to elicit the health outcomes). A question that has yet to be answered is whether or not the source of energy during weight loss has a consequence on health? As long as essential nutrients are consumed at recommended levels. Our society mostly seems to fall into two extremes: Those that mindlessly overeat and those that over-analyze what they eat. Where do you think does our uneasy relationship with food stem from? I am not sure where that stems from, but that is a very astute observation as most of the disdain I have received seems to come the latter group. Although, I received several messages of support from those recovering from disorded eating and from those who treat them. As I have progressed through this project, I have gained a new perspective on food/diet/health (or, it has changed a little). One question that came to light early was, are the nutrients from supplements as bioavailable over time as those from raw whole foods. For example, in a study by Reboul et al. (2006) it was reported that beta-carotene from raw tomatoes was very low, while vitamin-E from white bread was high — yet, we tend to recommend avoiding processed grains. In that same study, it was reported that the processed tomatoes had great bioavailability than raw and boiled spinach had 6-times greater availability of beta-carotene than raw. What advice would you give to my readers about how to best manage their weight? I would advise to investigate their current health status (broad assessments: bp, lipids, glucose, liver enzymes, metabolic fitness / inflammation, etc.). Based on that information and with health care provider guidance, then proceed to alter lifestyle behaviors as needed. If weight is lost with diet / activity modification so be it; if weight is maintained, so be it; if weight is gained, so be it. I believe what happens on the side (metabolically and mentally) is more important than what a scale has to say. Enjoy life and enjoy food — however, I feel that some restraint is necessary for health so ad lib gluttony “tends” not to lead to healthy outcomes. Now, if an individuals has specific life goals (running a marathon, climbing a specific peak, competing in a hot dog eating competition, etc.) then there will likely be some specific adjustments required to attempt to attain those goals. Many thanks to Mark for providing us with these detailed answers! 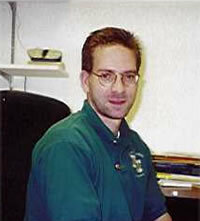 Picture of Prof. Haub © Kansas State University. Other pictures courtesy of National Cancer Institute and the Library of Congress. Professor Haub has an interesting perspective and in some ways I find it refreshing and in other ways I find it disturbing. In particular, his comment that the solution to obesity involves working with fast-food and snack-food manufacturers caught my attention. I had visions numerous plots from blockbuster movies past where the population of world are just like farm animals to the master race who controls and keeps the people happy and healthy so they can keep producing profits for the controlling master race. Scooby — Great observation and point. However, there is a push for government (via taxes and policies/laws) to herd people to eat a certain way, does it matter who herds the master race? Government (our USDA) suggests that the foods I am eating to lose weight are part of the obesity problem – how can I be losing weight and foods that cause it (tongue in cheek)? I support choice and letting the master race determine what they want to individually eat. Is vegan healthy? It can be, but it can lead to nutrient deficiencies if not careful. Is low carb healthy? It can be, but it can lead to nutrient deficiencies if not careful. Is junk-food/fast-food unhealthy? I’m not sure, but they can be if not careful. With people choosing to eat fewer fruits and vegetables over the last decade (Sept 2010 report from from the U.S. CDCP), I think there should be an effort to improve the nutritional quality of the foods they will eat instead of trying to change behavior, which seemingly has been unsuccessful. We also need to learn portion control, that has been the key for me and I truly think this was my dietary issue, not the foods I ate or avoided. I now eat LESS fat (50-60g/day), sodium (<2,000 mg/day), cholesterol (<300mg/day), and carbohydrates (150-180g/day) then before even though many claim that I am 'wrecking' my liver and pancreas by eating food with "tons" of fat and sugar. Maybe I’m a hopeless optimist, but I think this is a fairly recent development and we can still influence it. It’s just that how we chose to go about it may have been the wrong way. Mark- In my opinion the only reason changing eating habits have not been successful is pure economics. Fresh food is more expensive and does not have an indefinite shelf life. So now the industry is simply trying to cram “nutrients” back into the food they have stripped it out of. Fruits, meats, legumes, diary, grains in a whole have more then carbs, fat and protein they even have more then micro nutrients. So thinking one can make a healthy Twinky I call BS the only reason would be economics not for the health. If the “healthy” twinky can sell more then they will do it. Look at the vitamin water craze. One word on the label and BOOM insta market. Don’t get me wrong I do appreciate what you are doing . So keep up the good work. Yes, that is a problem: The label “healthy” can easily be abused. CanadianGuy — I fully agree (more nutrients in whole foods). However, those nutrients/phytochemicals are not “essential”. The point of this exercise was not to test a new “optimal” diet/lifestyle, which seems to be the view that is either being conveyed by the media and/or received by the audience (I am probably not helping, but this have been my inaugural exposure to national media). Another key outcome of this I hope results is more research comparing the outcomes of supplements to whole foods — there is a paucity of data from human trials. One example where data are available is the comparison of organic to non-organic — the health differences are not noticeable using current/accepted outcome variables. Mark is getting a lot of attention in the media recently. He indeed is! Mark just finished his diet and his health has vastly improved – despite eating junk food. I bow my head to the man for putting himself through this ordeal! EvilCyber — Now bowing necessary. I really appreciate your help and understanding of the project (bigger picture) and not being focused on the food/diet (trees). I am getting more time to discuss the “forest” now, so I hope some of the misconceptions will start to resolve themselves. It’s interesting to me that critics focus on issues that is not supported by any available data — what about…(long-term, hs-CRP, insulin, etc)? There are thousands of scientific studies published monthly with similar data/research as mine, yet they receive far less criticism. That does not mean my exercise in nutrition should be unquestioned, but the true science that conforms to current beliefs is openly accepted — even if limited in scope or application. More is to come…My New Year’s resolution is just around the corner. Thanks again EC — Mark Haub, Ph.D.
An Experiment and the Media « Evil is Good!